Our value priced lift chairs include the most affordable infinite position lift chair you will find on today's market - the AmeriGlide 325M. Browse our selection and pick the styles and add-ons that best suit you, whether you want the comfort of a biscuit back cushion or the luxury of a lift chair equipped with heat and massage! 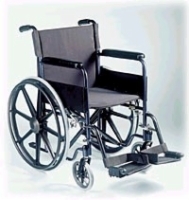 Call our mobility specialists today to begin shopping for your AmeriGlide lift chair! The AmeriGlide 375M Heat and Massage lift chair offers heat and massage standard for incredible comfort!